Visit here for all Alberta Avenue homes for sale in Edmonton. The average selling price for a home in Alberta Avenue, also known as Norwood, in 2014 has reached $241,901, this is up from 2013's average sale price of $225,321. The highest price that a home has sold for in Alberta Avenue has been $407,000 this year, and the most affordable home in Alberta Avenue managed to sell for $140,000. 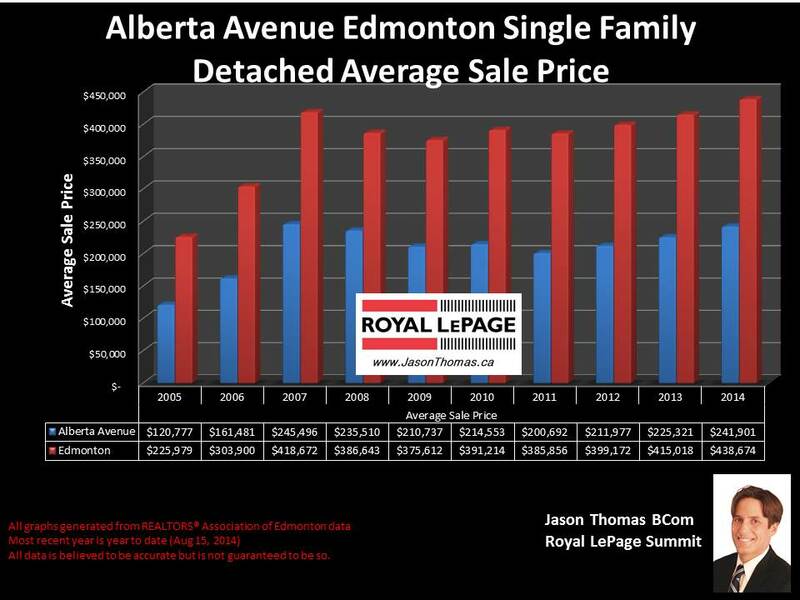 The average time to sell a single family detached home in Alberta Avenue this year has been 36 days. Since 2005, property values have increased by 100% in Alberta Avenue. When you look at the Alberta Avenue duplex market, the average sold price has reached $313,750 in 2014, and the average time to sell a duplex has been 42 days. These duplexes that sold were infill properties completed in 2013. More and more redevelopment has been occuring in our inner city core areas of Edmonton. Visit Edmonton Home selling prices by neighbourhood for more stats on this central Edmonton neighbourhood as well as other areas of Edmonton. If you are interested in a professional no obligation market evaluation on your home click Alberta Avenue Homes for sale in Edmonton.